Top 100 Global Influencer, Digital Transformation (DX) Strategist, award-winning technology entrepreneur, blogger and author of Think #Digital First with over 10 years’ experience online. To reach this goal, Warren is helping create a radical rethinking though his certified training and professional speaking on how organisations use technology in pursuits of building brand awareness and new revenue streams. 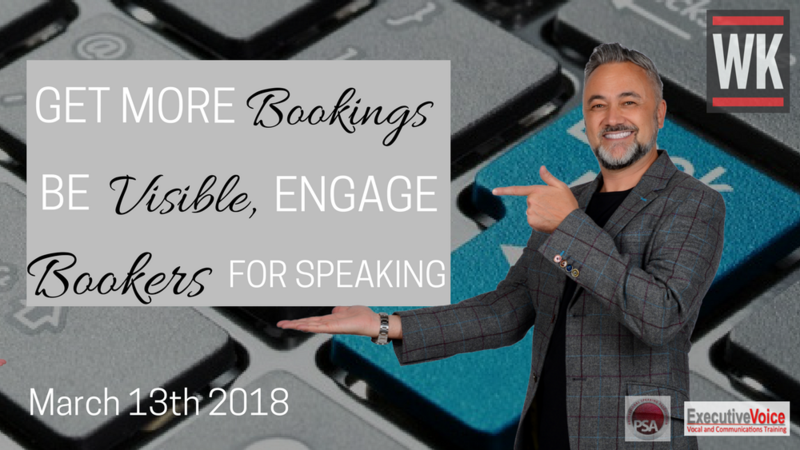 The theme of this meeting is using your personal story to engage a client to book you to speak AND how to use social media to get more speaking engagements. The speakers for the evening are Warren Knight who shares ‘How To Build Your Brand Awareness using Social Media As A Speaker’ and Michael McGrath who shares his expertise in ‘Powerful Insights’ about the client/speaker briefing process.